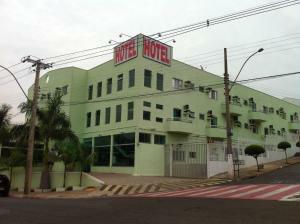 Located 2 km from Americana city centre, this hotel offers air-conditioned rooms with free Wi-Fi and free parking. Buffet breakfast and a 24-hour reception are available. Rooms at NovAmericana Hotel provide an LCD TV, fan and minibar. Argentin Palace Hotel offers air-conditioned accommodation, a lush breakfast buffet and free private parking, 3 km from Americana centre. Americana Rodeo Arena is 8 km away, and Wi-Fi is free.